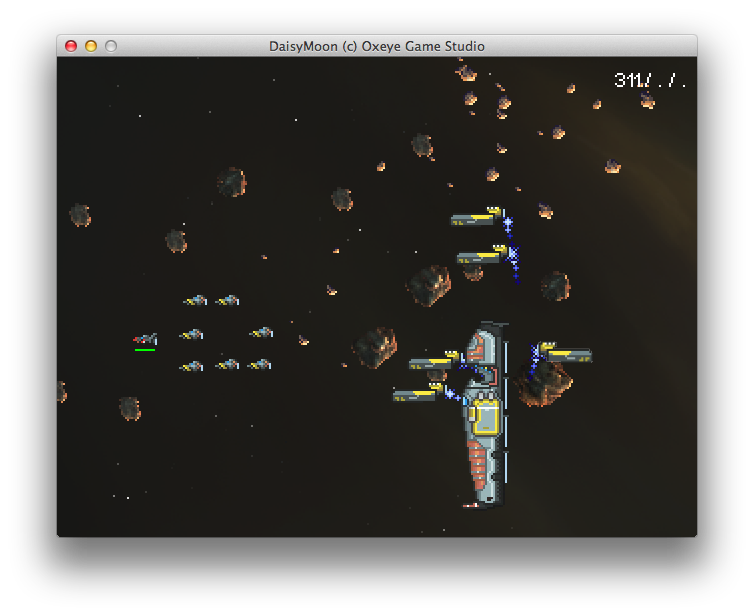 A excellent demake of an excellent RTS Game. House Globe delivers the gameplay of Homeworld in a beautiful side scrolling shooter styled game. The game features detailed pixel art, awesome soundtrack and a very portal-ish styled voice over. 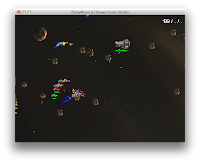 There is even an multi-player available. 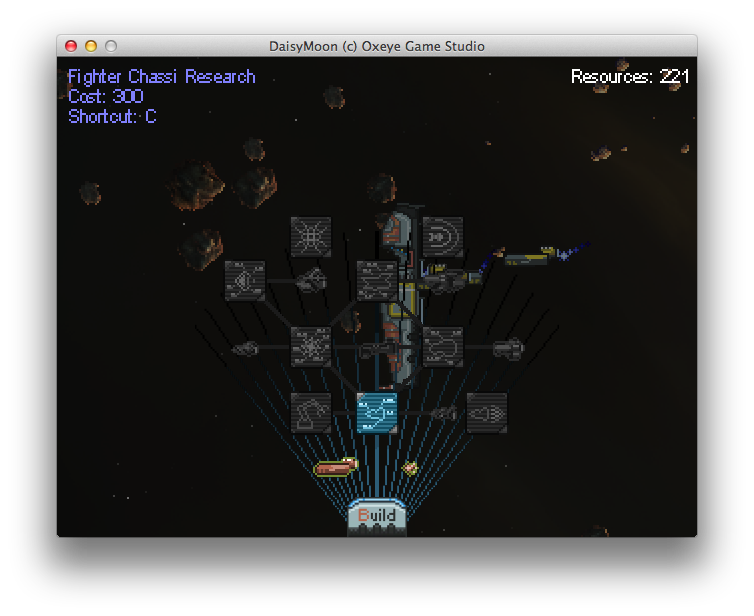 Harvest, research and built, you know the drill! 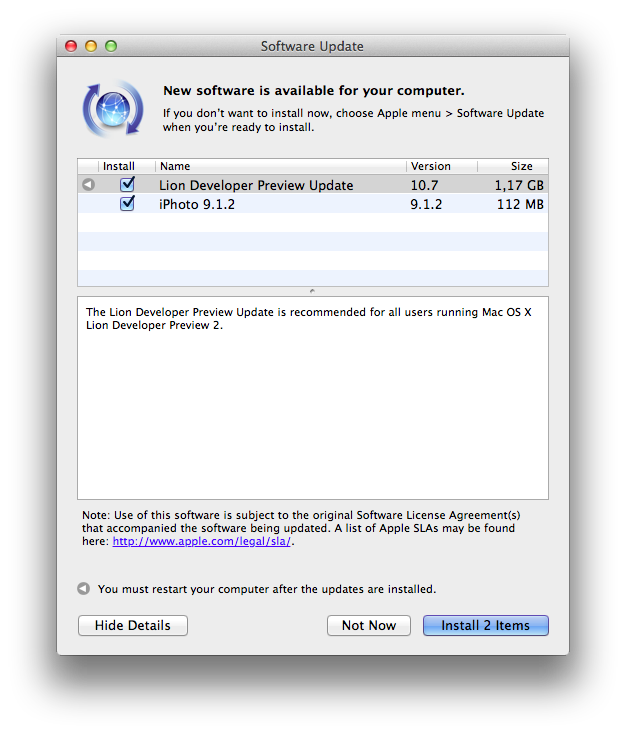 Apple just released the second update for the Lion Developer Preview 2, build 11A444d. Currently downloading, more info in around 2 hours. 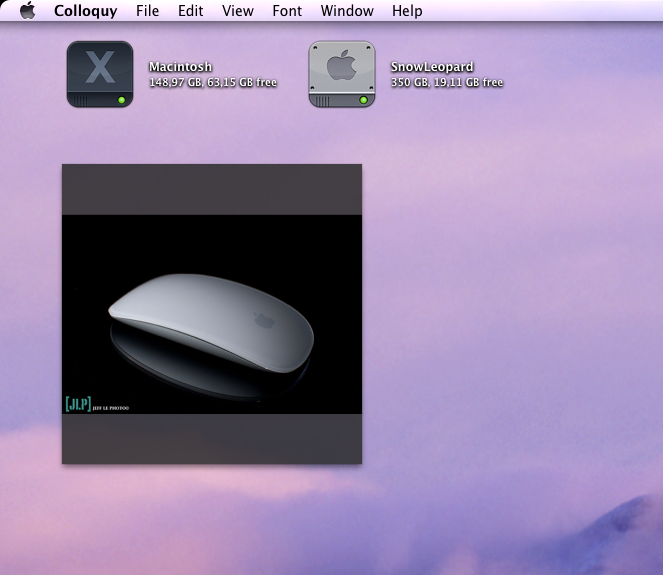 HyperDock v1.0.3.45 brings Windows 7-Features to Mac OS X Lion! 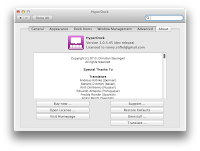 Since the release of the Developer review 2, HyperDock was broken and refused to work. 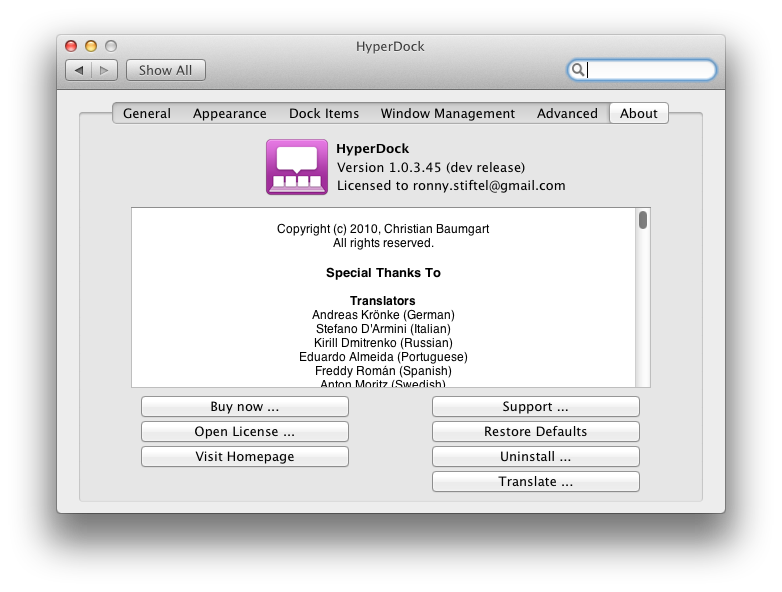 The new developer version of HyperDock finally fixes this issue and brings back: window previews, itunes control and iCal infos to Mac OS X Lion. 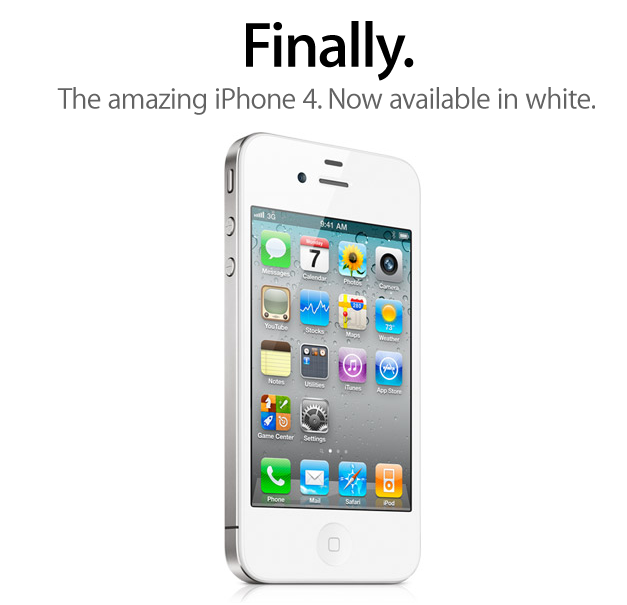 The Apple Store is back online and now selling the white iPhone 4. Internationally its also available since few hours. Another (imho far more interesting) news is that the first sighting of iOS5. The ongoing outage of the PSN was caused by "external intrusion" so far this was already known. But seems the "hackers" got your personal data as well, or maybe, well sony dont know exactly which should worry you. MyPhoneTracker is now using the Google Maps API v3 so you can use StreetView or the 45° aerial imagery together with a much better looking interface. 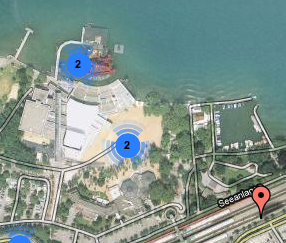 Single markers now show you the timestamp of the location capture. Coming to a foggy town after getting a letter from your dead wife, sounds familiar? 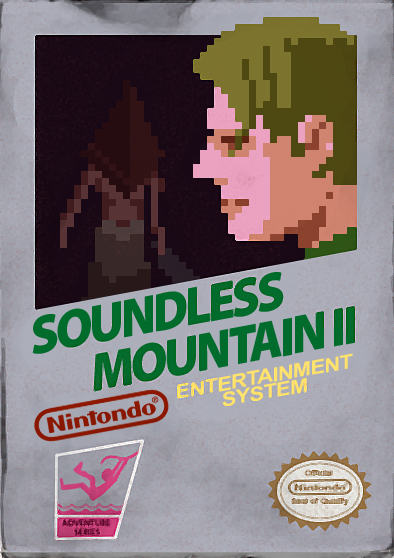 "Soundless Mountain" a great demake of Silent Hill II show how this amazing survival horror game would look on a 8bit NES. 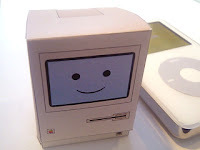 Since Lion's latest build features 1024x1024 sized icons and Wallpapers up to 3200x2000 pixel there is a lot of rumor going on that we soon see Mac's with retina display. I would love to have a Macbook with retina display, since i have the iPhone4 i got used to it and always shudder when i get the smartphone of a friend and those see those old school pixelated displays. Based on the assertion that a display of approximately 300 ppi at a distance of 12 inches (305 mm) from one's eye is the maximum amount of detail that the human retina can perceive. Retina displays are displays that exceed this ppi ratiom. For example the iPhone4 has a ppi of 326. 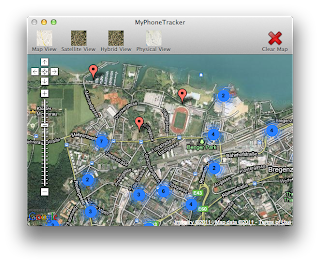 Version 0.9 of MyPhoneTracker features a new gui (cocoa style,resizeable,faster) and a nearly complete core rewrite. You can load the database from a local iTunes Backup, the application will display all backups for your devices ordered by date. Or load the file from an actual iPhone (jailbreak required). The file is named "consolidated.db" and you find it inside "/private/var/root/Library/Caches/locationd/consolidated.db". 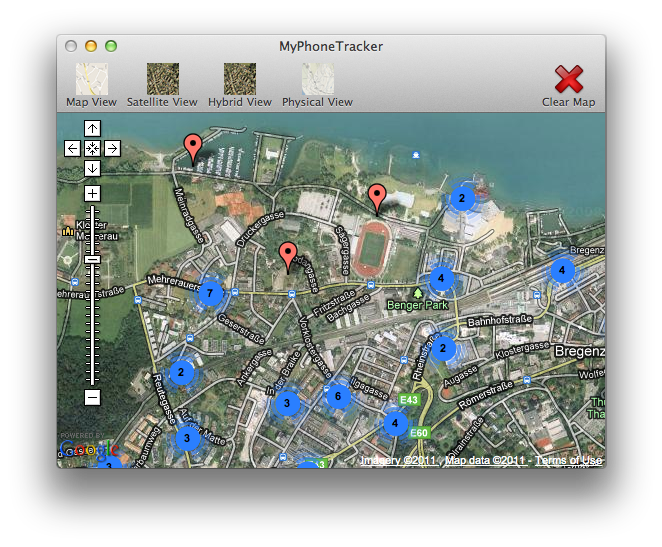 In the /data/data/com.google.android.location/files directory you find the files cache.cell & cache.wifi which contains logs of your movement. You will need root access to the device to read this directory. 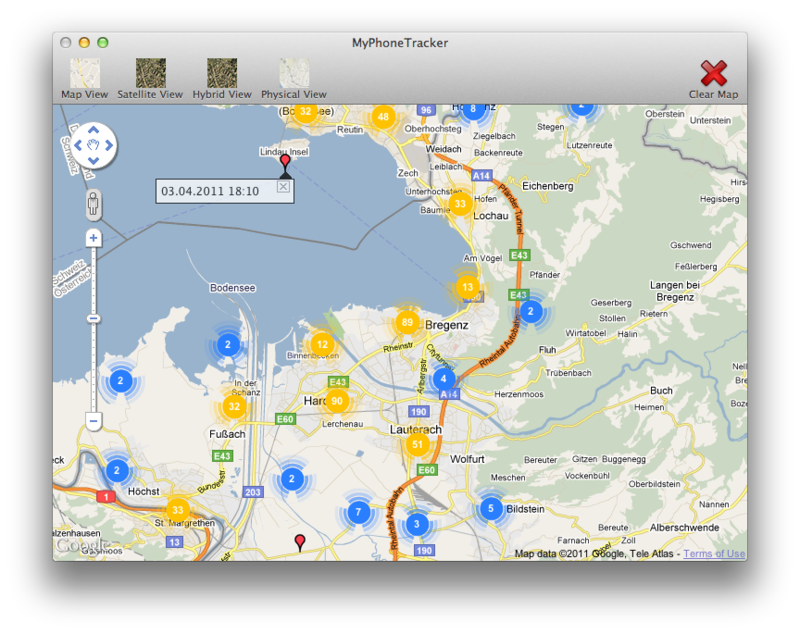 The next version of MyPhoneTracker gonna be able to visualize those datas as well. 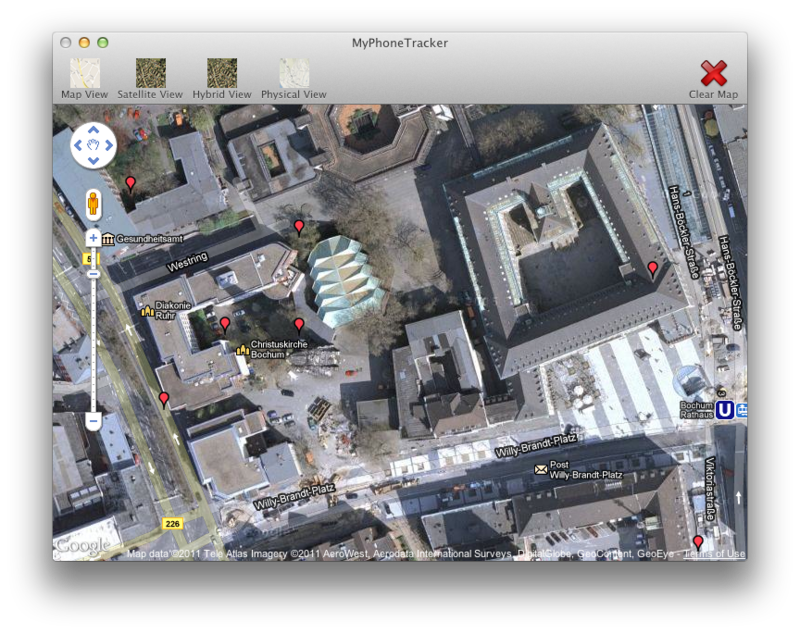 Alasdair Allan and Pete Warden, two security researchers have announced that since the release of iOS 4 every device with a SIM (iPhone,iPad) tracks the location of the device on a ongoing basis determined through cell-tower triangulation and stores it in a local database. 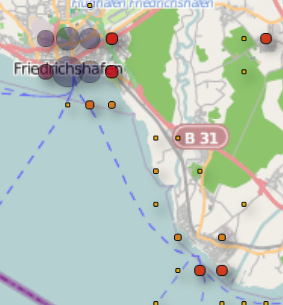 The position is not determined through GPS which hints that this data is used to improve the network quality. The data is only on your local device and is not transfered to Apple or any 3rd party so you wont need to worry about being tracked. The only problem i see on this matter is that this file is unencrypted available on your device and local backups so if someone steals your phone or Mac they can create pretty scary movement log. 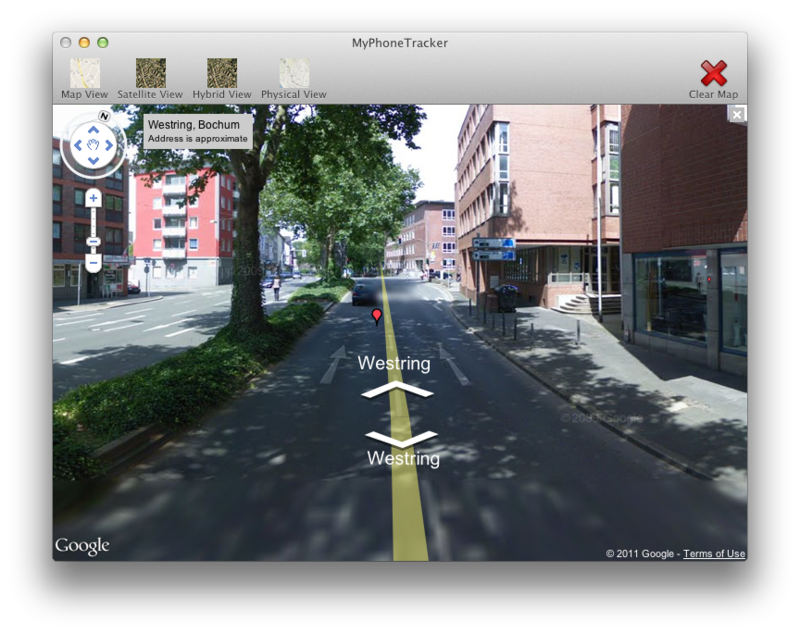 Also this gives a little insight on the tracking abilities of the phone companies and the government. 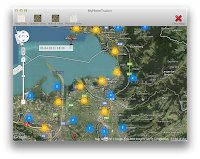 Photosynth is a software application from Microsoft Live Labs and the University of Washington that analyzes digital photographs and generates a three-dimensional model of the photos and a point cloud of a photographed object. 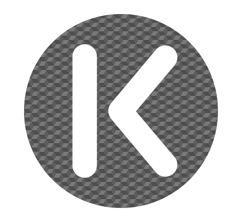 Pattern recognition components compare portions of images to create points, which are then compared to convert the image into a model. And now you can all do this on your iPhone! Thanks to KillerKun we have an awesome new Logo and if you need anything drawn i strongly recommend to head over his website www.killerkun.com and contact him! In the meantime i have 4 beautiful wallpapers for you. 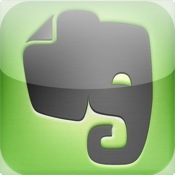 Evernote is a digital file cabinet, you can create notebooks and store any kind of digital information inside them. 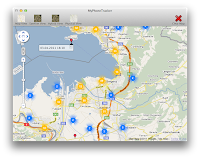 You can search and organize those informations quickly and in a intuitive way. Evernote is basically a online service with multiplattform clients, but you can work offline as well and sync your notes back when you are online. The free online service has monthly usage limitations (currently 60 MB/month), and displays a "usage" meter. A premium service is also available that currently costs $5 per month or $45 per year, and currently offers 1,000 MB/month usage. 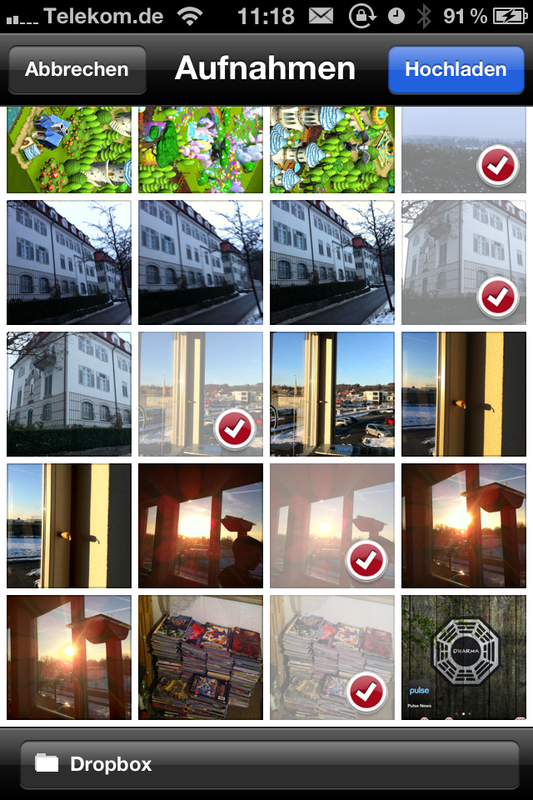 The new Dropbox update for iPhone, iPod and iPad adds bulk upload of photos and videos. Simply choose the videos and pictures from your photo library and a few seconds later..
AmigaOS is the default native operating system of the Amiga personal computer. It was developed first by Commodore International, and initially introduced in 1985 with the Amiga 1000. Early versions (1.0-3.9) run on the Motorola 68k series of 16-bit and 32-bit microprocessors. 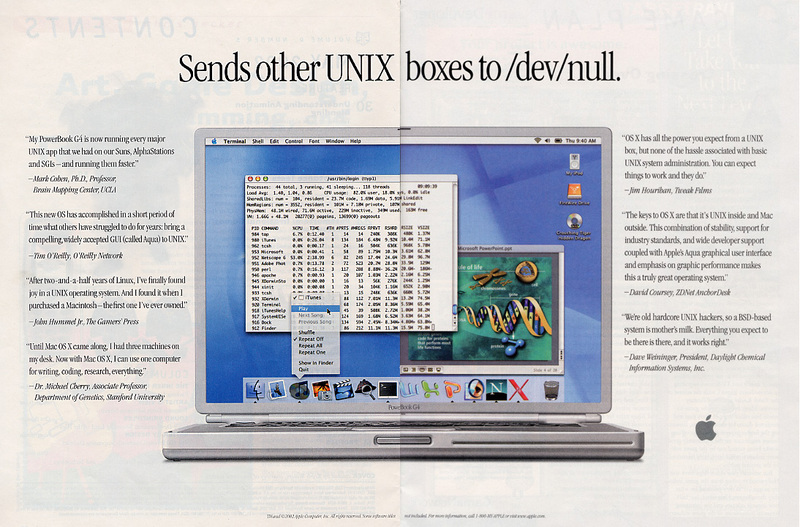 On top of a preemptive multitasking kernel called Exec, it includes an abstraction of the Amiga's unique hardware, a disk operating system called AmigaDOS, a windowing system API called Intuition and a graphical user interface called Workbench. 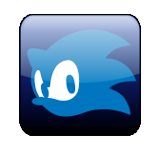 A command line interface called AmigaShell is also available and integrated into the system. 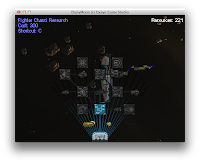 The GUI and the CLI complement each other and share the same privileges. 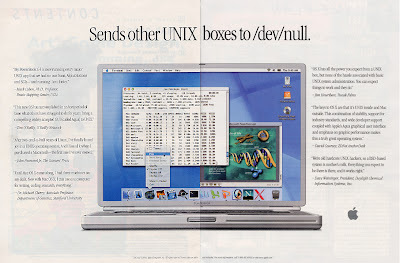 AmigaOS was very advanced and ahead of its time. In this tutorial i show you how to install AmigaOS 3.1 inside E-UAE on Mac OS X. 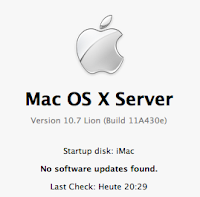 From systems that have developer preview 2 of Lion or Lion Server installed, run Software Update and download Mac OS X Lion Developer Preview 2 Update. 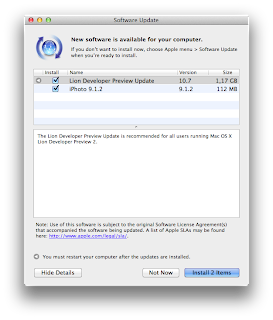 You must also download Xcode 4.1 Developer Preview 3 available from the Mac Dev Center to build apps with this version of Lion. If you have not yet downloaded developer preview 2 of Lion and Lion Server, get your redemption code from the Mac Dev Center then proceed to the Mac App Store to redeem your code and download Lion. Cocoa Packet Analyzer is a native Mac OS X implementation of a network protocol analyzer and packet sniffer similar to Wireshark(Windows). The application allows you to make detailed analyzes of network traffic for debug and research tasks. CPA supports the industry-standard PCAP packet capture format for reading, capturing and writing packet trace files. It is also extendable through analyzer plugins, which can be created using Cocoa bundles technologies. 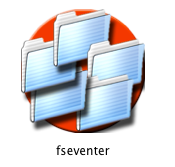 fseventer is a tool that visualizes file system access. You can determine what files are changed on a software installation, deinstallation or what a suspicious piece of software is actually doing. 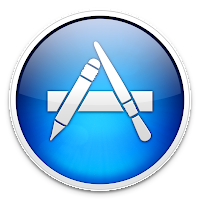 On Mac OS X uninstall means mostly just drag'n'drop the app onto the trashcan, this can leave some files like application settings,cache and other related files on your hard drive. If you collect a lot of notes, snippets and website links over the day managing all those can be a real pain. 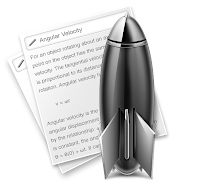 Notational Velocity is a way to take notes quickly and effortlessly using just your keyboard. You press a shortcut to bring up the window and just start typing. It will begin searching existing notes, filtering them as you type. You can use ⌘-J and ⌘-K to move through the list. Enter selects and begins editing. If you’re creating a new note, you just type a unique title and press enter to move the cursor into a blank edit area. The iPhone SIM unlock ultrasn0w is now available in a iOS 4.3.1 compatible version. In computing, a TRIM command allows an operating system to inform a SSD which blocks of data are no longer considered in use and can be wiped internally. TRIM was introduced soon after SSDs started to become an affordable alternative to traditional hard disks as permanent storage in PCs. Because low-level operation of SSDs differs significantly from traditional hard disks, the typical way in which operating systems handle operations like deletes and formats resulted in unanticipated progressive performance degradation of write operations on SSDs. TRIM enables the SSD to handle garbage collection overhead, that would otherwise significantly slow down future write operations to the involved blocks, in advance. Optical media is on the eve of extinction, at least in the apple world. But still from time to time you need to burn a CD or DVD to exchange data. 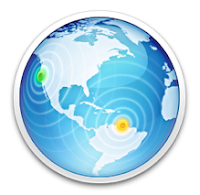 Mac OS X allows you to backup data to a writeable media directly in the Finder or let you burn a Audio-CD in iTunes but if you need more advanced options you need to use some third party app. Burn is an excellent choice, its lightweight and still very powerful and should fullfil all your burning needs. 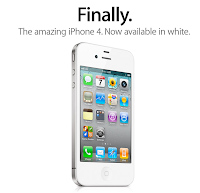 MuscleNerd just dropped the news that the 4.3.1 compatible unlock will be released today. Great add from 2002, to complete the blast to the past here ist the matching slashdot post. Give Vowl a list of tags, and it displays an unattended slideshow of random Flickr photos matching those tags. 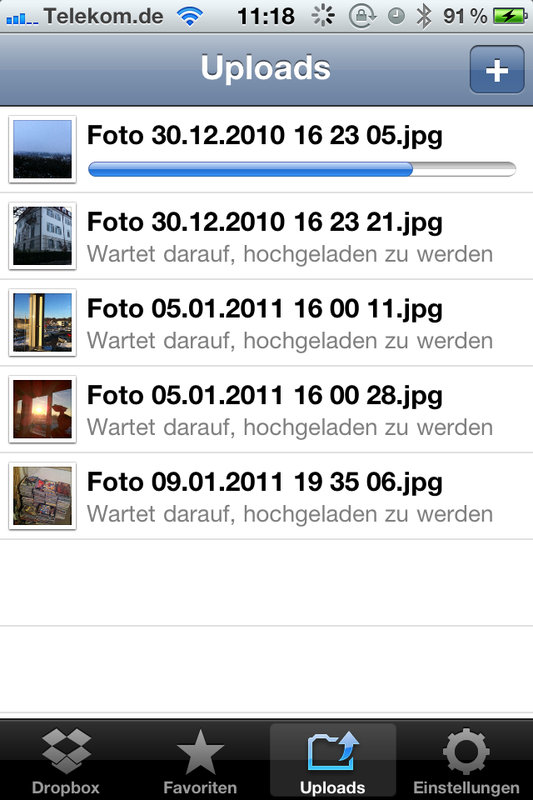 By default it shows you "cat", "dog", and "chicken" photos, but this can be changed in the preferences. 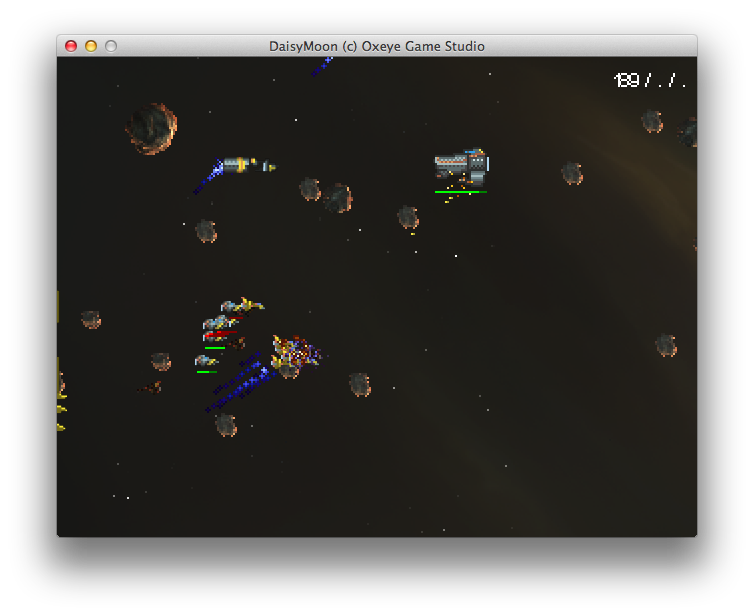 You can also customize the delay between each photo, and whether or not Vowl floats above all other windows. Wow 500 followers already, thank you all! Versions records the evolution of a document as you create it. 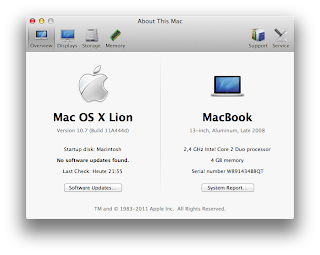 Mac OS X Lion automatically creates a version of the document each time you open it and every hour while you’re working on it. If you need to revert to an older version or retrieve part of a document, Versions shows you the current document next to a cascade of previous versions — in an interface similar to that of Time Machine — so you can see how your work looked at any given time. You can revert with a click, or quickly copy and paste work from a previous version into the current version. 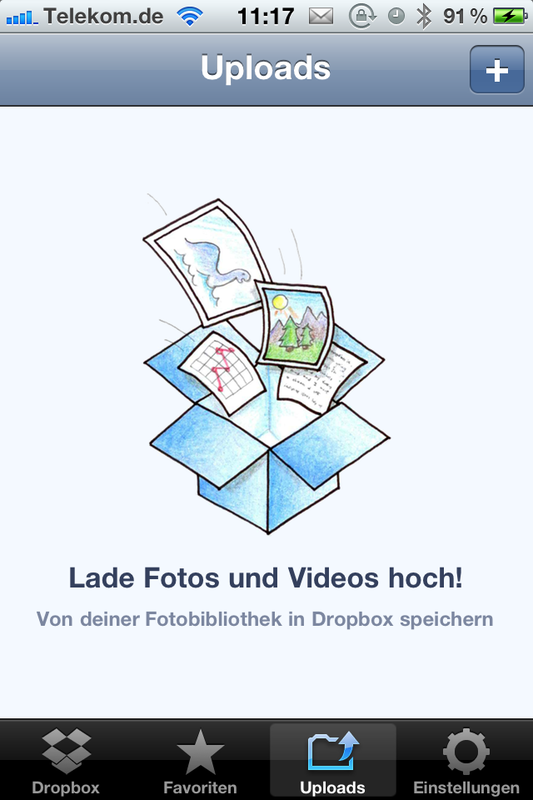 In the last days many Dropbox users experienced crashes and other problems with the Lion Developer Preview 2. 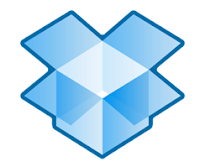 Today Dropbox released a client (forum build) that is compatible with the Developer Preview 2 (build 11A419). 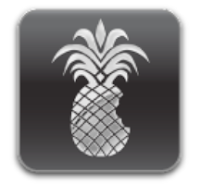 MuscleNerd of the iPhone Dev Team has confirmed that the upcoming jailbreak for iOS 4.3.1 might be out today! From time to time, for me almost never ;), it happens you need to run a Windows application, since you can install Windows on your mac in a second partition or use a virtual machine like Parallels or VMWare that should be no problem but this takes times, money and if you just need it once in a while is total overkill. 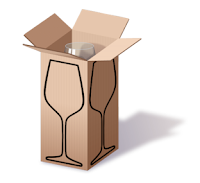 Linux users might know Wine the windows wrapper that allows them to run Windows applications, since wine is multiplattform you can use it as well on Mac OS X. 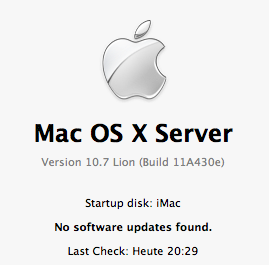 But it means a lot of config file editing, try & error and some luck to get good working results. Here WineBottler comes in, it allows you to transform Windows applications to Mac applications using a simple interface. Feel nostalgic, wanna finally beat this 20 year old game you never finished as a kid? Or just curious how games looked back in the golden age of gaming?